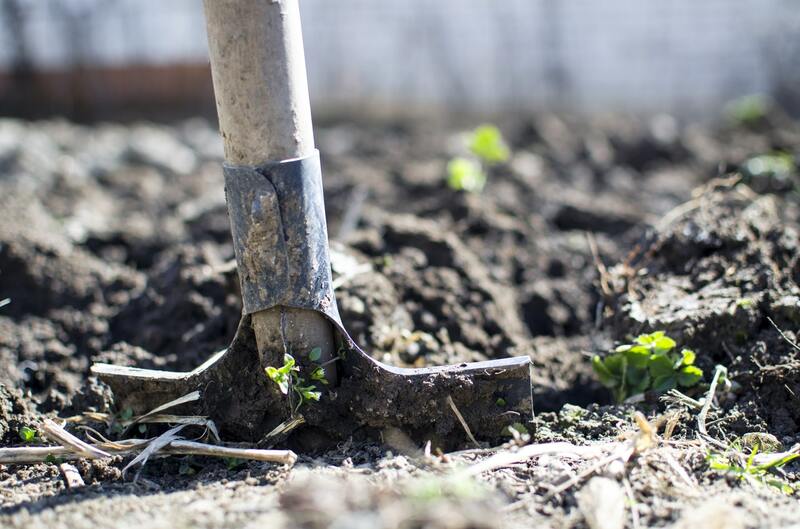 Has your Dog recently taken up Gardening? Your entire backyard has them, the front yard does too and even your pot plants have experience with it. Yes we’re talking about holes. Sometimes, dogs dig because they are on the hunt and some do it because they believe they are landscape artists. However, other dogs are dealing with their boredom in the only way they know. Fret not, for there is a list of things that can be done to help your dog cope with being left to his own devices when you are out or working. Firstly, when looking for a solution one needs to bear in mind that all breeds have different needs. While a Border Collie can run for hours and not get tired, a Welsh Corgi most certainly cannot. Some dogs require training in order to be disciplined, while others might get away with not having gone to puppy school (although it is highly recommended that they do attend at least one class). For example, a Belgian Shepard requires exercise, attention as well as training. Dogs require an outlet for their energy, which if not done through exercise or regular walks, they will occupy themselves in and get caught in mischief. Toys that are interactive will not be a solution to your dog’s boredom if it is an only dog. For instance, a tug rope means you are necessary for the tug war to take place. 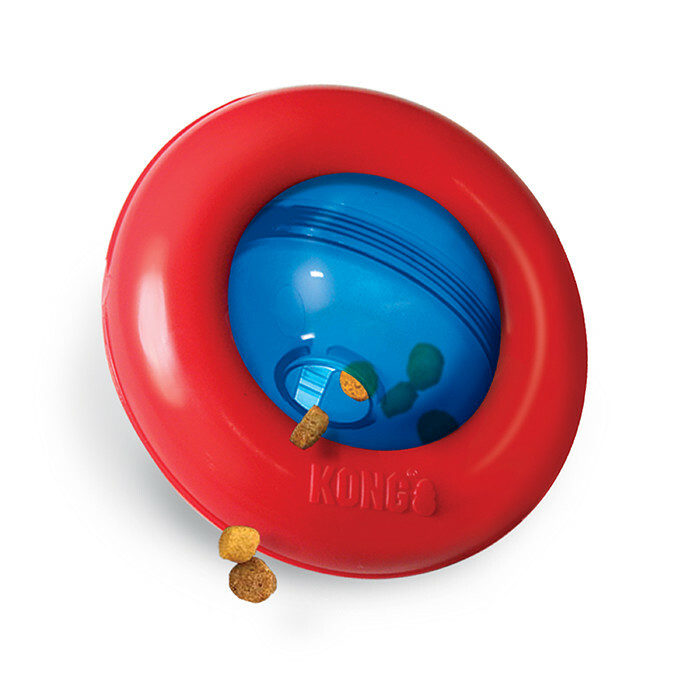 The Kong Gyro, is a mind-stimulating treat toy, which means it keeps your pet interested as they will need to decipher how to get to the treats. Another option is the Rogz Treat Tumbler, which is a similar concept, but the treats have to go through a maze inside the toy before it falls out. Large breeds, herding breeds as well as terriers require daily exercise. If your pet is walked twice daily, not only will they be healthy but they will use up their energy without digging up the entire garden. Another alternative is to ensure you spend enough time playing with your pet. Dogs love attention, so why not give them as much as you can. Interactive playing includes ball throwing, Frisbees, tug of war and so on. Bear in mind that if your dog has a thick coat or has no shade, the easiest access to a cool resting place is a freshly dug hole. However, an active dog will keep its energy levels at a low – but if they are getting hot they will still dig. . A kennel in a shady area would help but if it is a humid day the kennel will be hot too. Hound Sleeper beds are elevated and allow for air to flow underneath, hence cooling your dog off, hence making it a better option than a hot and stuffy kennel. You could also buy a clam shell pool and fill it with water as some dogs will lie in it. (Others have free access to swimming pools). Dogs need attention, and life as we know it, is chaotic. Sometimes we just do not have the time to play with our dogs. Another solution to a bored dog is a friend. Although your sole attention is their deepest desire, another pet means someone else to play with when you are not around – it also means that interactive toys are now an option. Dogs can play tug of war with each other therefore tyre toys, rope toys, rubber sticks and so on will be something they can occupy themselves with as well as burn energy at the same time. Having more than one dog is a simple solution to boredom because it will include the use of toys, exercise and allow your dog to have a social life when you are away. A trained dog is a disciplined dog. Training takes place on Saturday mornings and only for a few hours. It means you will spend time with your fur baby, and be teaching him obedience through the concept of “good behaviour is rewarded”. An alternative to adopting another pet, is allowing your dog his own sand pit to dig in. 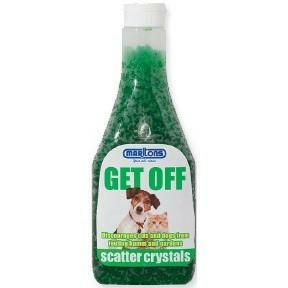 You will need to encourage your dog to use it, so reinforcement is needed. You can bury your dog’s toys in it, lead your dog to the pit and reward him for digging there. In addition to this, it is advisable to secure other areas of your garden, so in essence: Pet-Proof it. You can do this by putting stones or pebbles at the bottom of pot plants, mini gardens or rose bushes. You can also make use of products such as Footsack or Get Off Crystals. These products deter animals because of the scent given off. If your dog digs in one particular spot, rather than covering it with sand after throwing his poop into it, try to cover it with chicken mesh. This will allow your grass to grow through the mesh as well as stop your dog from digging there. (From experience – it definitely works). Chicken wire will also be useful if your dog is trying to escape the yard by digging under the fence. It can be used underground which will also stop your dog from getting out. Our stores offer various treats that will keep your pet busy. Boredom Busters come in three various sizes, and are stuffed with liver and peanut butter. They are marrow bones, therefore they are a lot harder to break and do not splinter. Another treat that can keep your dog chewing for hours is a hoof. These come as plain hooves as well as liver stuffed hooves. We also stock hip bones and long bones – which are meaty and tasty and long lasting. These would be more suited for occupying your pet while you have guests or need to keep them busy while in your company. We advise that all treats are given under supervision. While dogs can be encouraged not to dig through these methods, it is important to remember that behaviour cannot be corrected if it is not caught in the act. Dogs will not know that the hole they dug in the morning while you were away, is the reason why you are shouting at them when you come home. This will only make your dog accustomed to being reprimanded whenever you come home. They will then associate your arrival with fear. It is unfortunately natural behaviour for a dog to dig. The only way to correct this behaviour would be through stimulating their brains while you are at work, rewarding them and encouraging their good behaviour and ensuring they have enough to keep them busy.